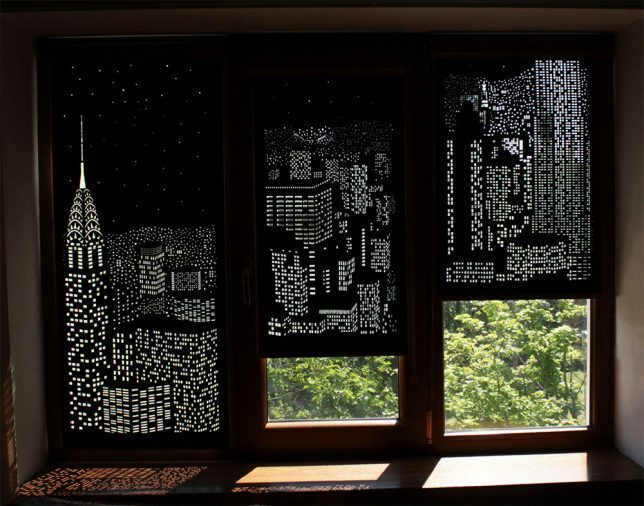 Casting pixelated patterns into day-lit rooms, these shades swap boring views (or overly bright days) for iconic scenes of metropolises at night. 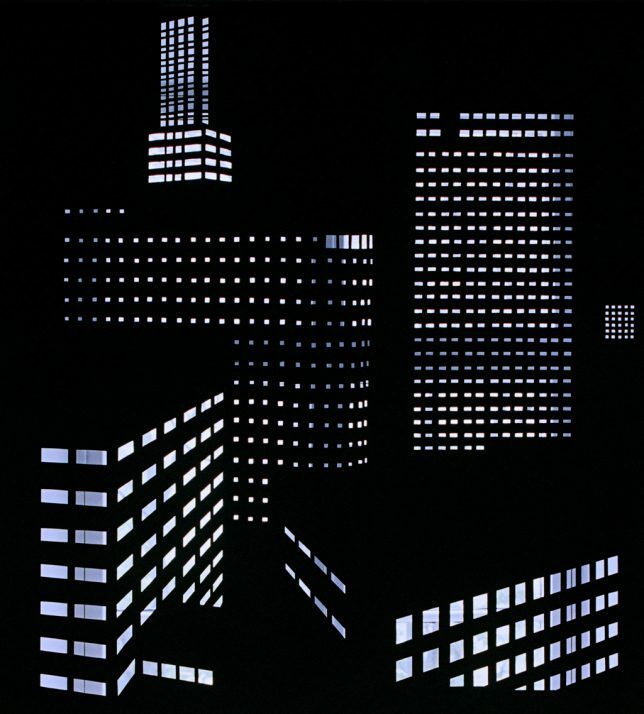 This particular set by HoleRole features famous structures from cities like Manhattan (the Chrysler) and London (the “Gherken”). 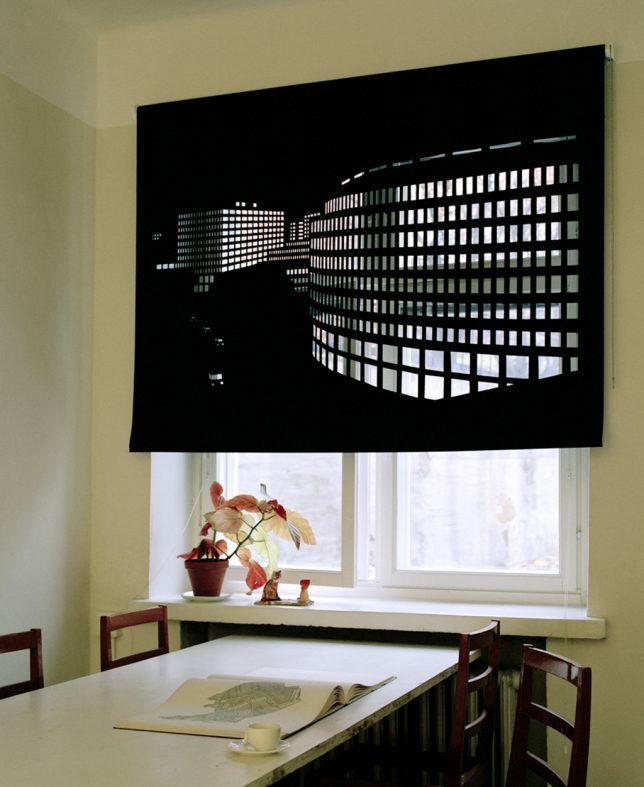 In each piece, minimal geometric windows and pinpoint stars on black prompt observing eyes to complete each picture, but theirs is not the only (or first) approach to urban curtain design. Aaalto+Aalto designed a similar series (Better View) some time ago but with a few key differences. For one thing: by varying the sizes of the perforations, their built landscapes take on more dimension. Implied curves as the windows recede, for instance, allow the flat surface to appear warped (as illustrated above). Also, the larger holes let some details shine through from the background. While visible window elements and natural scenery can be identified with inspection, they also serve to animate the scenes — instead of a black-and-white image, additional details make it seem like there are objects or activities filling in the windows. The net effect adds a bit of character and fun unpredictability. 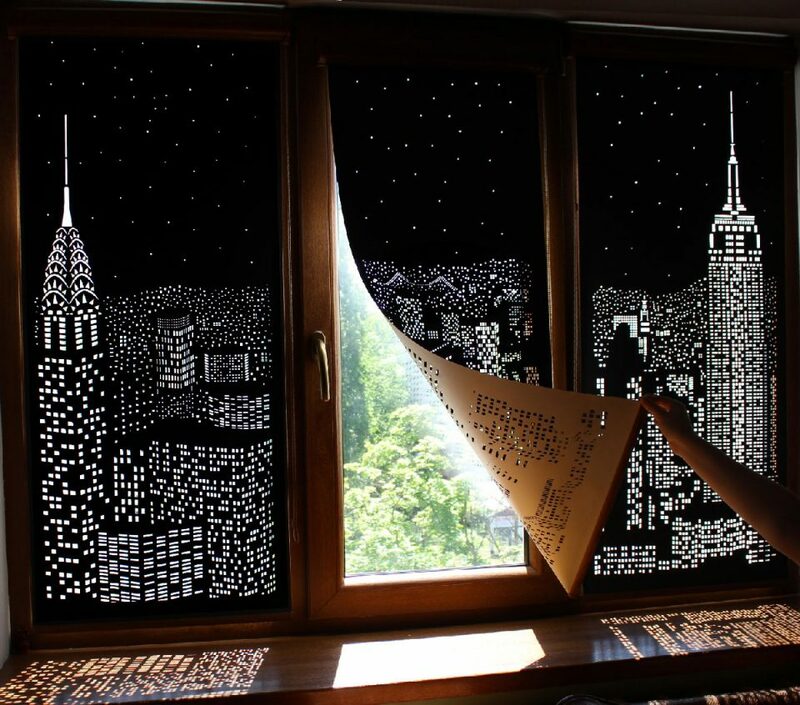 Of course, none of these are true “blackout” curtains in the traditional sense, but for mood lighting during the day they are certainly a bit more interesting when total darkness is not required.